Question: What happens when a legendary band releases a new record after a long gestation period? Answer: One of two things. Fans will either be delighted and celebrate the efforts of said band, hailing it as a masterpiece, or they will react in sheer disgust and turn into the most rabid, scathing pack of wild dogs imaginable. They will not only denounce the latest offering, but they will also turn back time, either pining for the “good old days,” or even going as far as to wonder if they ever truly liked the band in the first place. It happens all the time with the fickle public. 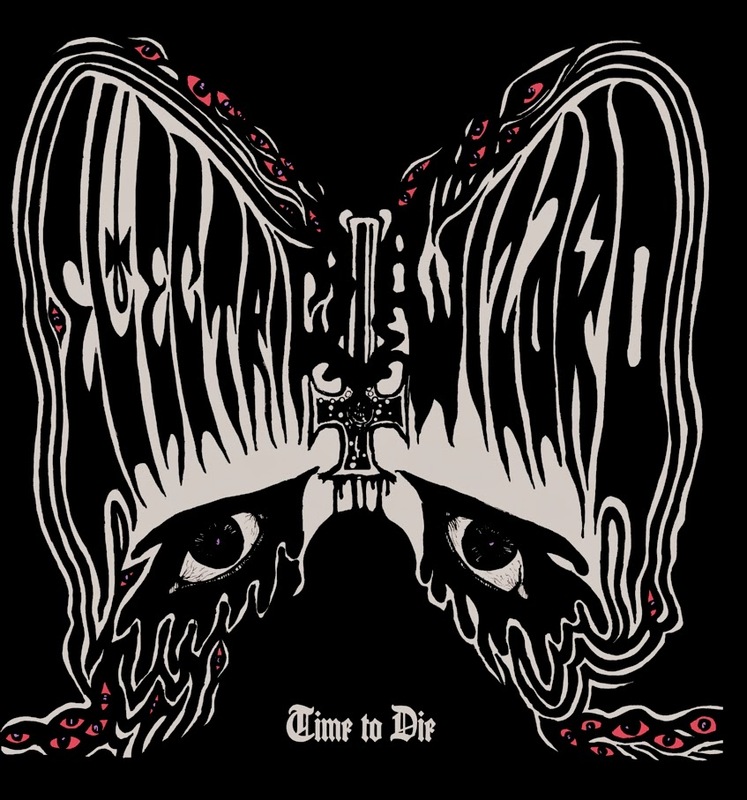 When Electric Wizard unveiled their teaser track “I am Nothing” from the upcoming “Time to Die,” the Internet went wild with excitement over hearing a new Wizard tune, but there were some occasional remarks over the song being “tedious” or “nothing new,” or even a “12 minute snoozefest.” Those latter remarks leave one questioning as to whether or not those people have even heard Electric Wizard before, as epic length heaviness is a common trait of theirs. The band has been going strong for 21 years now. 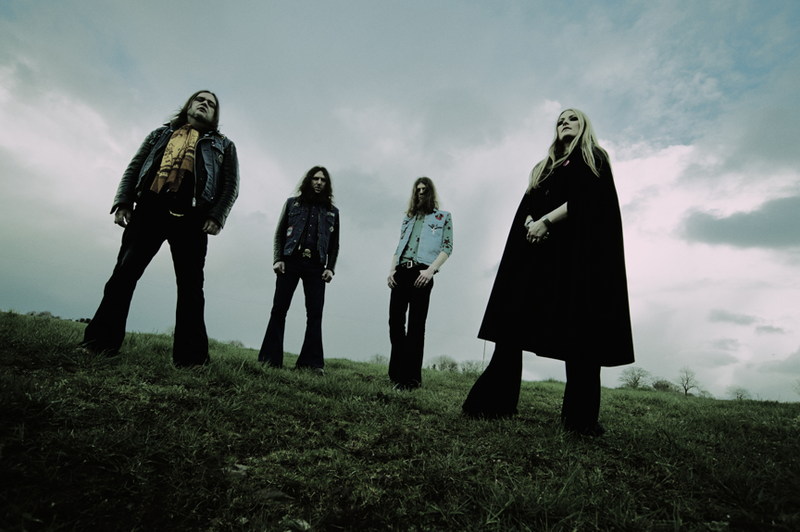 Regardless of lineup changes, inner strife, legal issues, and shameless substance abuse, Electric Wizard has long since left the ranks of being “just” another doom band. They are officially one of the most beloved heavy bands in the world. Album opener, “Incense for the Damned,” begins with the sound of gushing water, (leaving one wondering as to whether or not it’s an actual documentation of the band’s shady activities in their pagan homeland of Dorset.) A pipe organ straight out of a Hammer film production chimes in, blending into the sound effects just the band’s signature low-end fuzz kicks in and lays waste. It’s an 11 minute track that instantly lets the listener know they are about to experience a loud, druggy thrillride into death and darkness. One thing that vinyl enthusiasts will love in particular about “Time to Die” is that most of the songs segue in and out of one another. The title track fades in at number two, connecting the opener with the record’s lengthiest, and possibly heaviest moment, (the aforementioned, “I Am Nothing.”) After the white noise of the short, but fiercely titled, “Destroy Those Who Love God,” the tornado fuzz of “Funeral of Your Mind” revs up and kicks it out. Jus has always been keen on expressing his love for early ‘70s Alice Cooper. This song is probably the best example of the ‘Coop’s influence on the band. It’s every bit as misanthropic as the rest of the album, but it also has an undeniable hip-shaking grind. There may even be a bit of Nazareth going on in the main riff, which wouldn’t be a surprise since Electric Wizard have never been ones to shy away from the impact of ‘70s hard rock in terms of their music. “We Love the Dead,” begins with a nice, evil riff but eventually winds itself into a pattern so monotonous that even their most stoned fans would probably have a hard time remaining in the “zone” for it. However, the follow-up tune, “SadioWitch,” comes in charging good and hard, sounding like it could be the heaviest outtake from the “Black Masses” sessions. And the rock doesn’t stop there. “Lucifer’s Slaves” is a doom lover’s dream. It’s got a ‘68-era Blue Cheer riff carving its way through Jus’s cave-deep vocals, slowing down midway through for some pummeling stops and Iommi-esque trills, and then it kicks back into some searing wah sounds with some uber-trippy vocals, (the kind that induce acid flashbacks.) It’s a great crushing end before the creepy organ outro fades us back into the eerie water effect that started at the beginning of the album. Perhaps this how we are meant to die, by sinking so low that we drown. The very last thing you’ll hear on the album? I won’t spoil it, but I will say that it’s easily recognizable for old school fans. One gets the impression, reading this review, that EW could have released a double LP of nothing but fart noises and the reviewer would have hailed it as an instant classic.